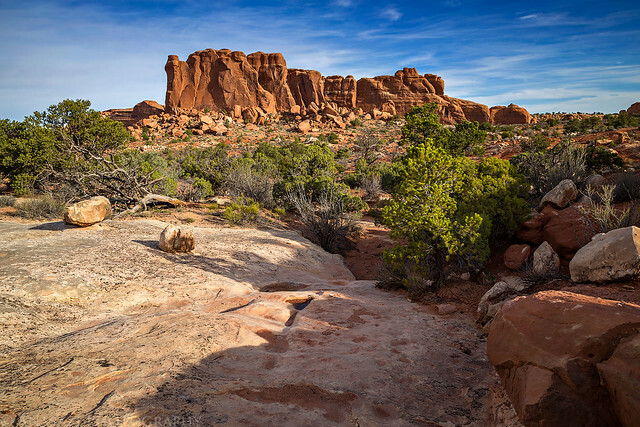 Hiking through the beautiful backcountry of Arches National Park out near Eagle Park. 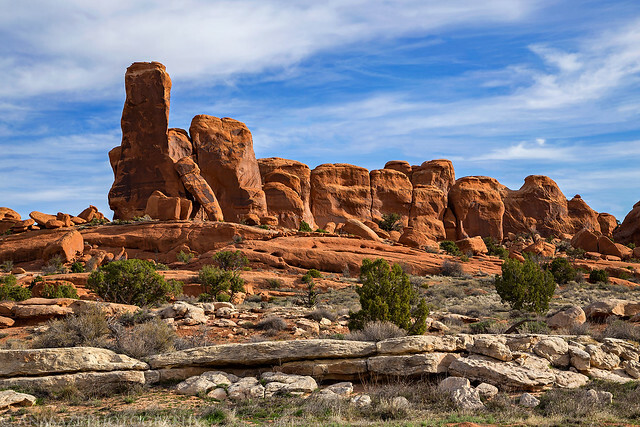 After some thought I set my sights on Eagle Park in Arches National Park. 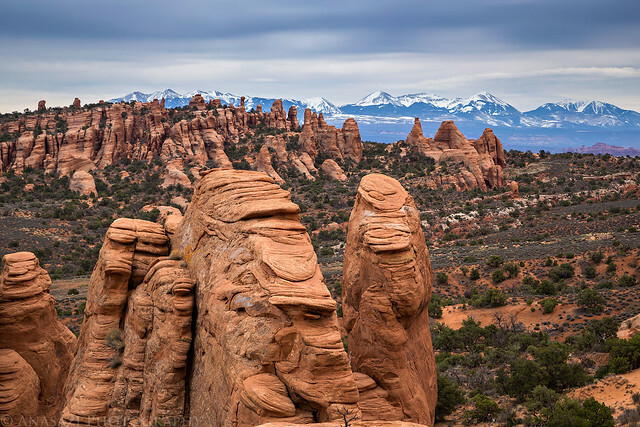 This obscure section of Arches has actually been on my radar for quite a while, but I had always wanted to do an overnight backpacking trip into this area. 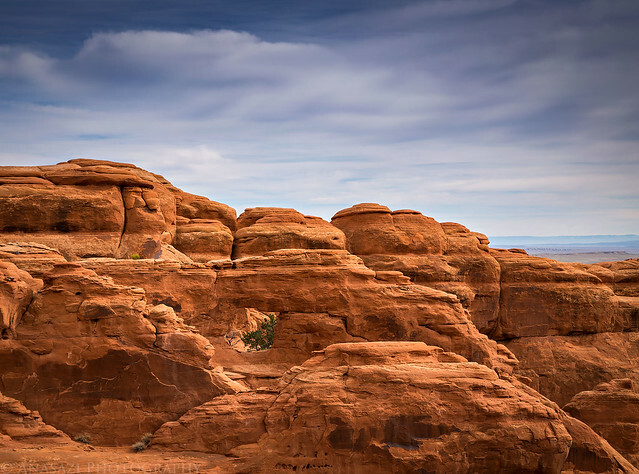 However, now that Arches has stopped issuing backpacking permits in the Park, I figured I might as well give it a try as a day hike. 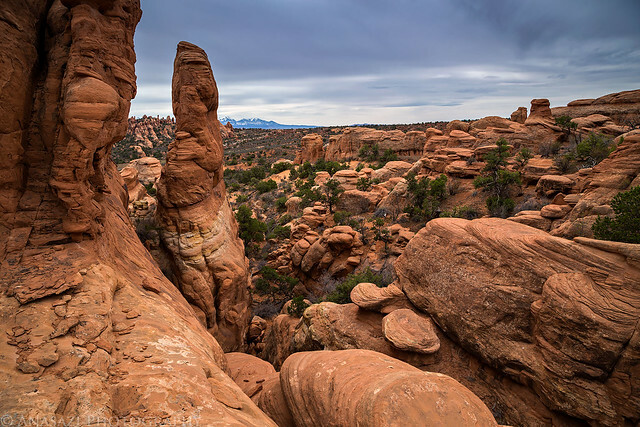 I started hiking from a little-used Jeep road at the northernmost boundary of Arches National Park and made my way southeast through Eagle Park and into the northern section of Devils Garden where I visited Far Out Arch, so named because it is the most significant arch in the Park that is farthest from any road or trail. With a lot of exploring on my way out and back the total mileage of the hike was around twelve miles. This hike certainly gave me a great introduction to the area and I plan to return in the future from a different direction. Driving into Salt Valley just north of Arches National Park. 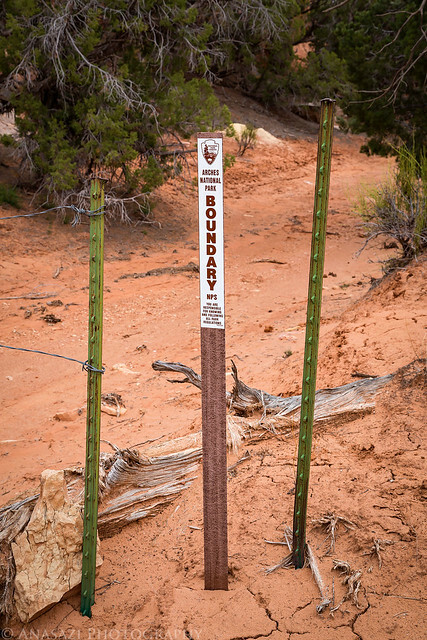 I followed a little-used sandy road to the boundary of the park where I started hiking. 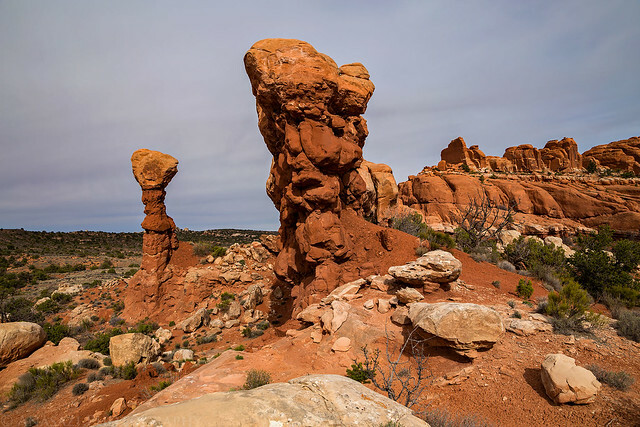 There was plenty of beautiful sandstone scenery along the way. After a few miles I finally reached the heart of Eagle Park. A closer look at one of the towers in Eagle Park. 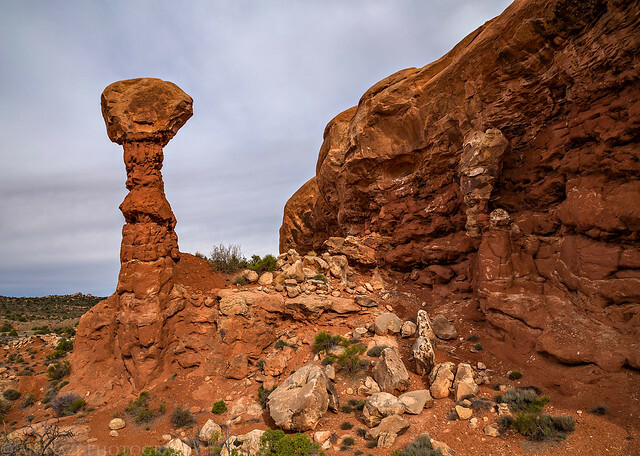 I continued hiking to North Devils Garden and stumbled across this hoodoo along the way. 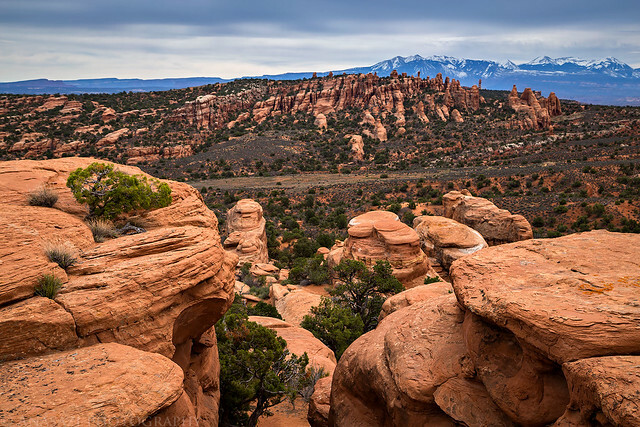 Eventually I came to the edge of a wide and shallow canyon that offered me a great view over Devils Garden and the La Sal Mountains. 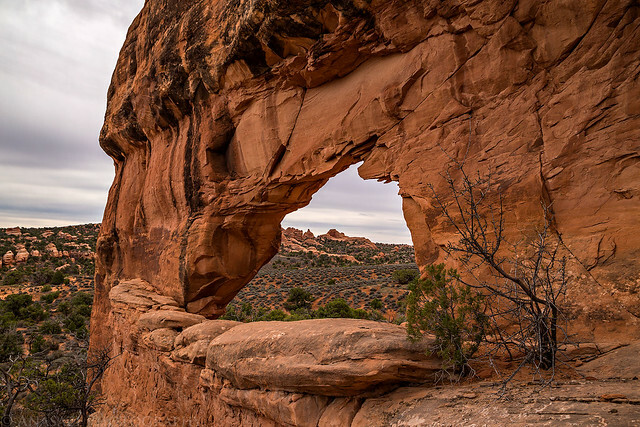 My hike ended at the spectacular Far Out Arch. By this time the clouds had overtaken the sky as a storm system was approaching and I wouldn’t see any sunlight again. On the way into the canyon I had gone around to it’s head and found an easy way in, but on the way back out I scrambled up through some steep fins to find a way out. This was a view near the top. 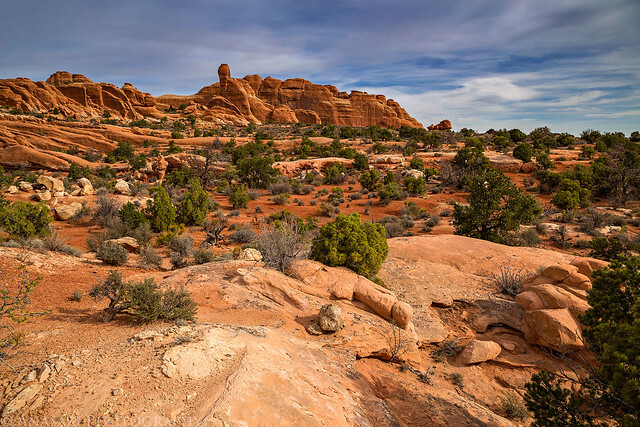 One last look over Devils Garden before hiking back to my Jeep. 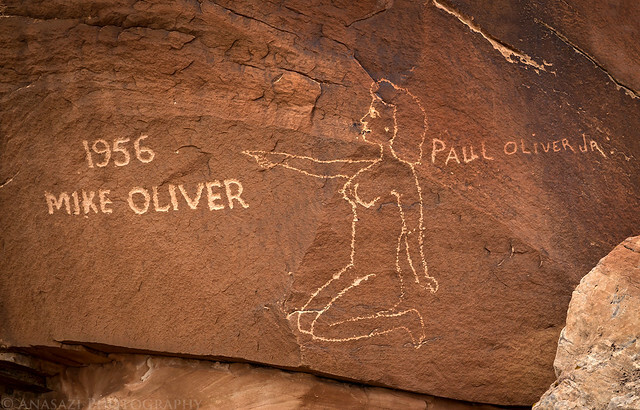 As usual, I had kept an eye out for rock art throughout my hike and had not seen a thing, except for a few inscriptions from the 1920’s and 1930’s. That’s why I was very surprised to find a large piece of corrugated pottery in a short sandstone slot canyon. 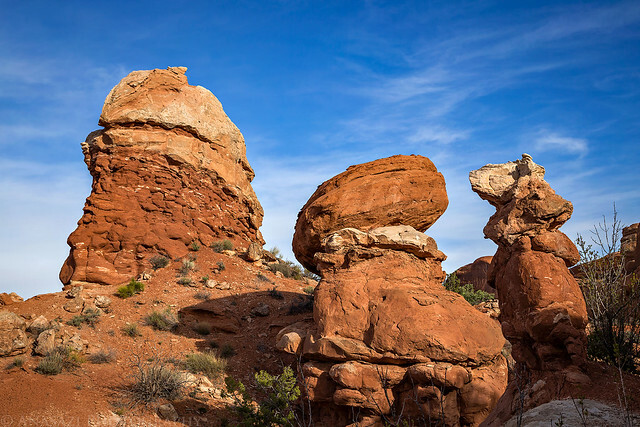 This is not the kind of find I expect to find in Arches National Park. Here it is in my hand so you can get a sense of it’s size. Leaving Arches National Park behind as I exited the boundary of the park. Driving back out I stopped for a quick photo of the Naked Lady Boulder near the Sunshine Wall, a popular location with rock climbers. I returned to the interstate and had an easy drive back home with a quick stop in Fruita for dinner. 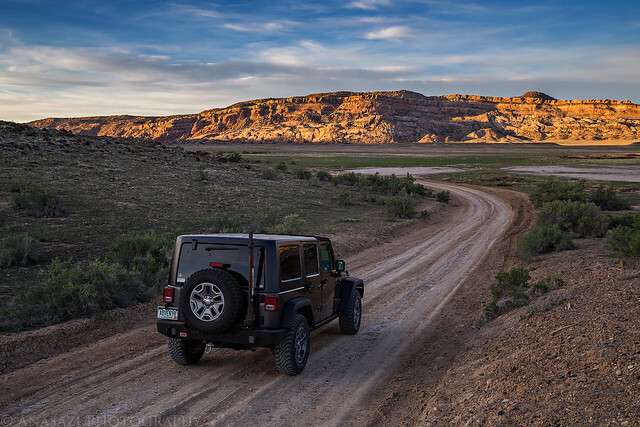 It felt great to be exploring back on the Colorado Plateau again! Shield Arch is the aches that you have missing a name.